My First Note-Reading Book with its companion CD can be used parallel to the Suzuki Violin School, the lesson books Step by Step or with any other violin school. 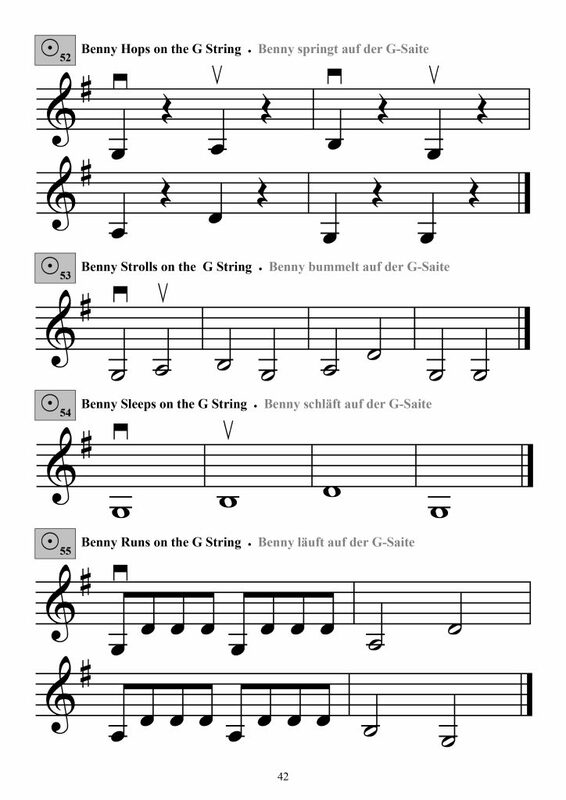 It leads young violinists, step by step and in a playful manner, through the basics of reading music and sight reading. 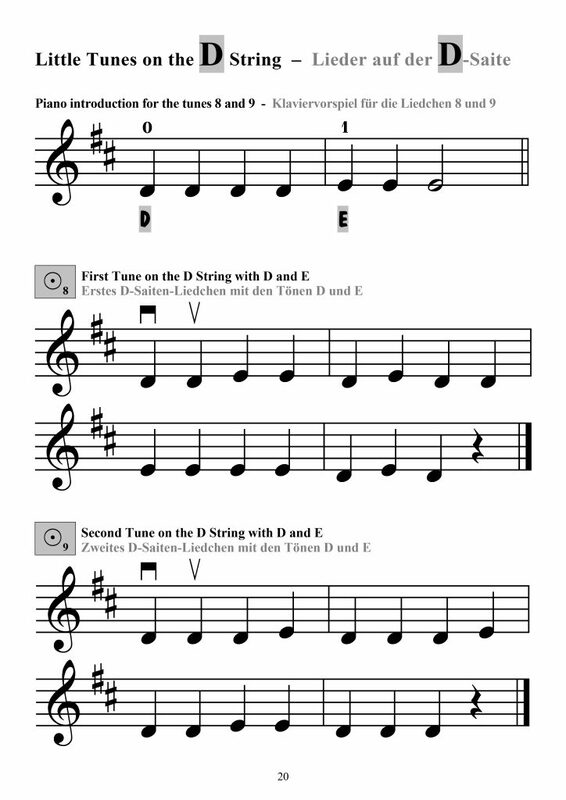 In the first part of the book, elementary note values are introduced. 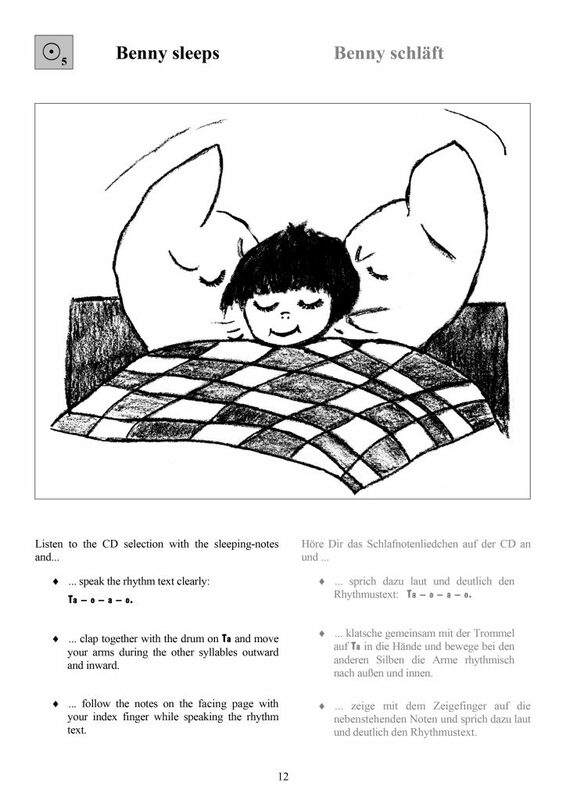 All rhythms can be heard on the CD, played by drum and piano, and encourage the children to take up the pulse in a lively manner. Rhythms introduced here form the foundation for all following chapters. 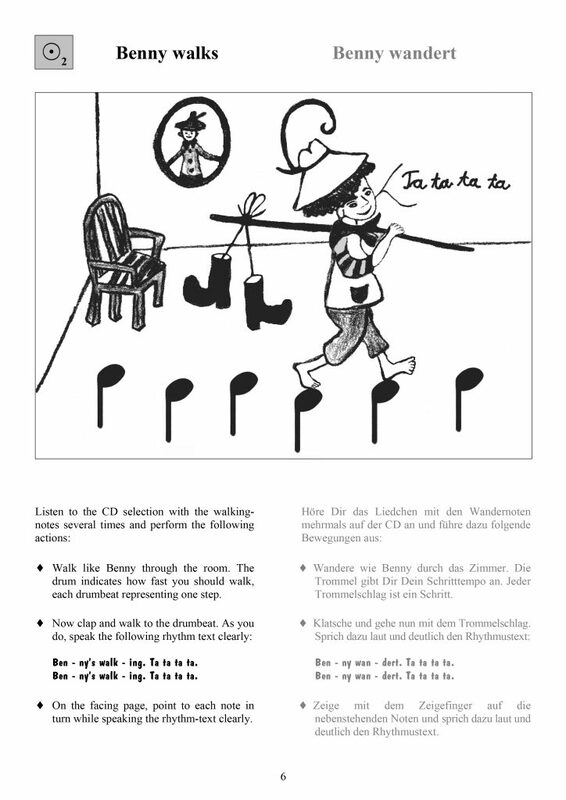 Appearing between the short, easily understood exercises are numerous drawing games, writing games and brain teasers. Not only entertaining, these are also an interesting way to introduce note-reading and note-writing. 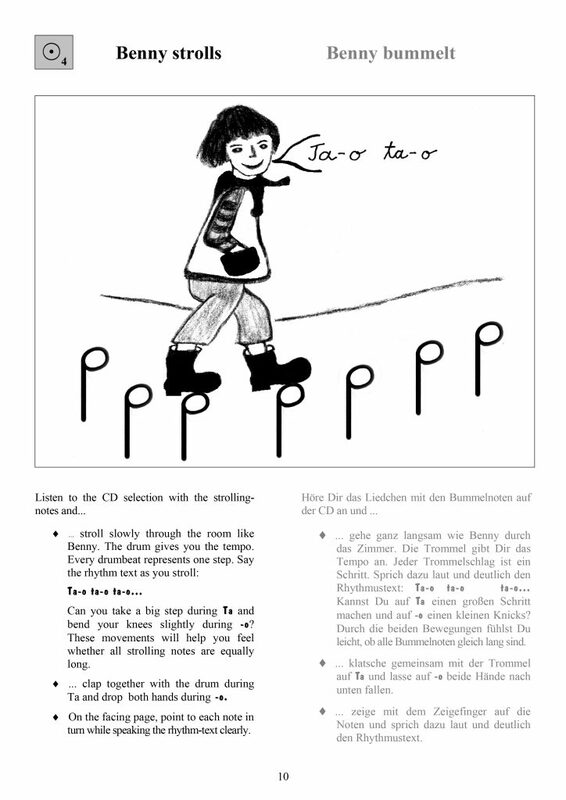 Solutions to the brain teasers can be found on the last two pages. To give this book a personal touch, all of the drawings may be colored. 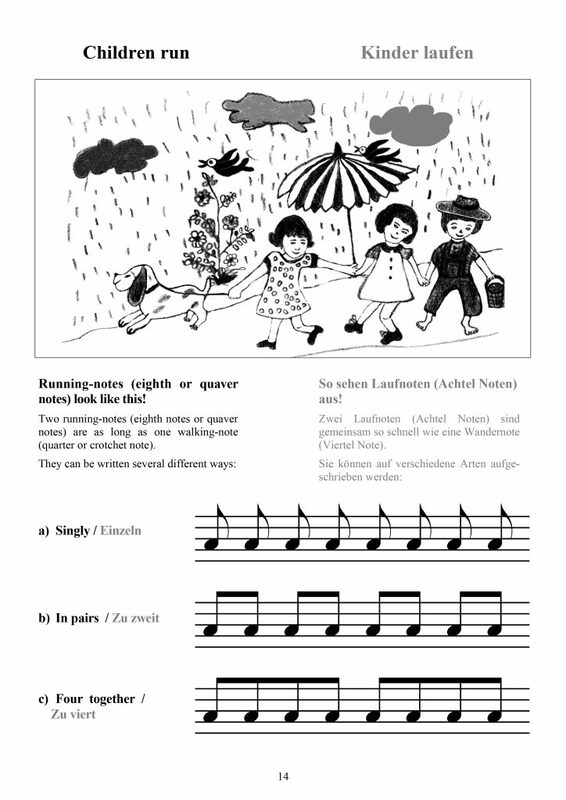 All notes in the first finger-pattern will be introduced and systematically practiced in this book. Accidentals are always included where required, but their meaning will not be explained until the next book. The piano arrangements on the CD are purposefully kept simple so that students will not be distracted from learning the pitches. 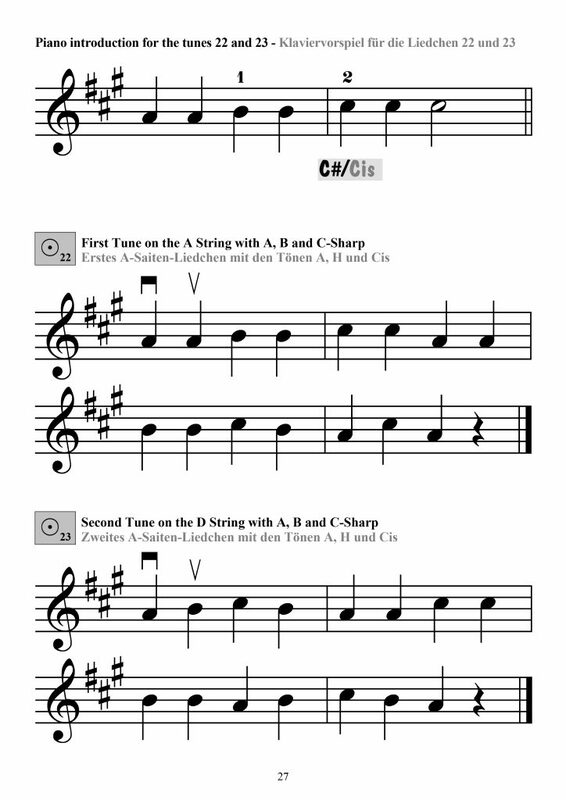 Every short exercise has an introduction of two measures which musically introduces the new concept to be learned. After thoroughly working through the material, the student should gradually increase the number of tunes played with the CD in sequence until all forty-eight tunes can be played without interruption.